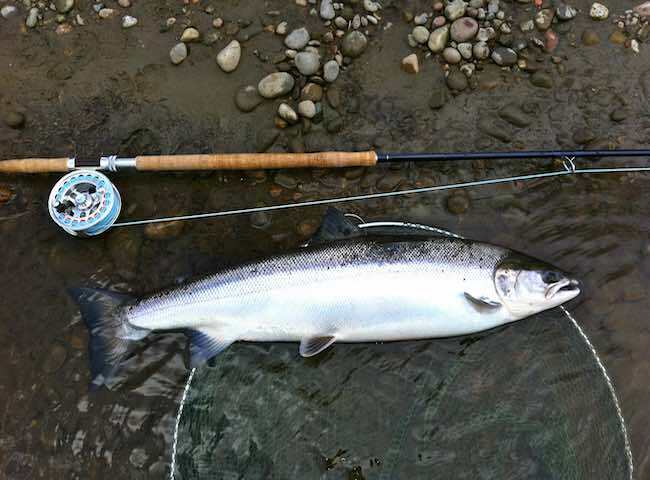 Here's a shot of a perfect fresh run 27 lbs Spring salmon that was captured during the Spring month of May. 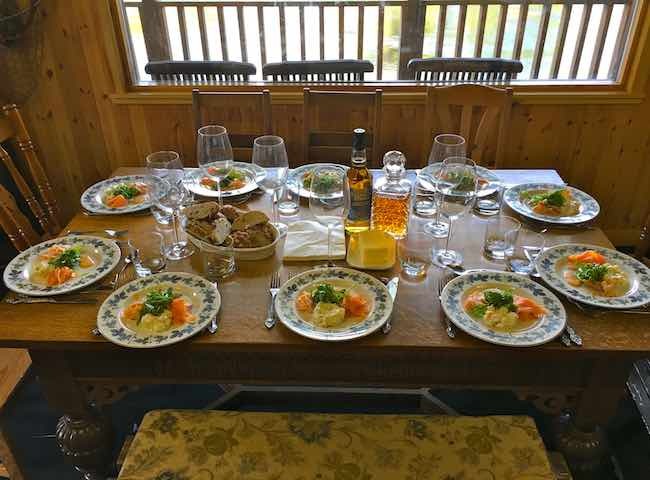 Book your Spring 2019 salmon fishing event now and treat your colleagues to something special. On all event days our team of professional 'time served' Scottish salmon guides are brought in to host clients along with a top chef. 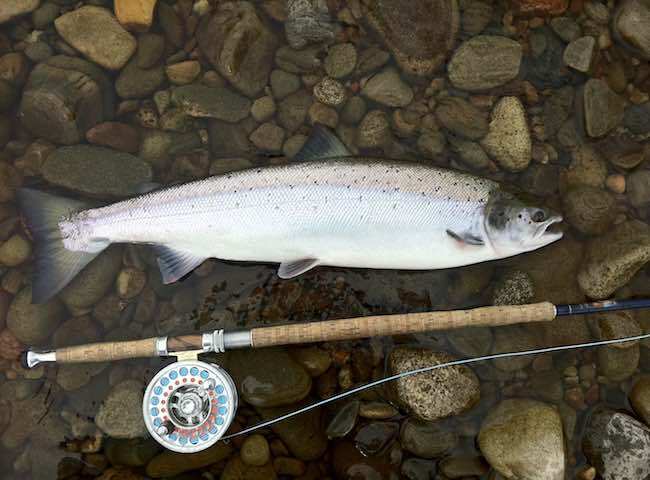 Follow this link for regular package details on Scottish fishing guides. 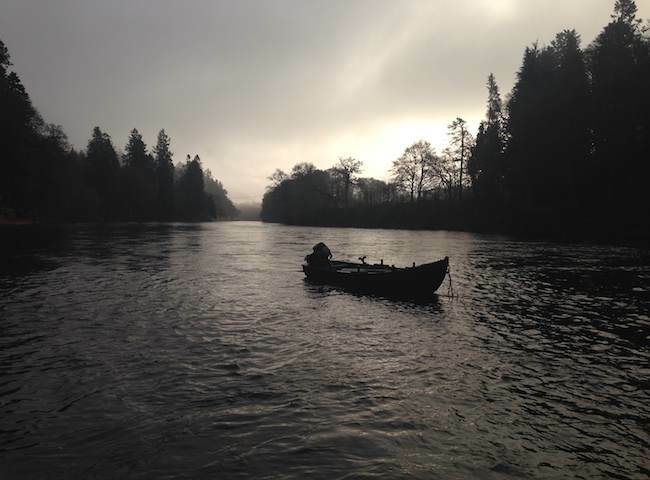 Here's a scene from lunchtime on one of our salmon fishing event days. A professionally catered lunch of this calber is the perfect way to break up the fishing day and re-charge your energy levels. 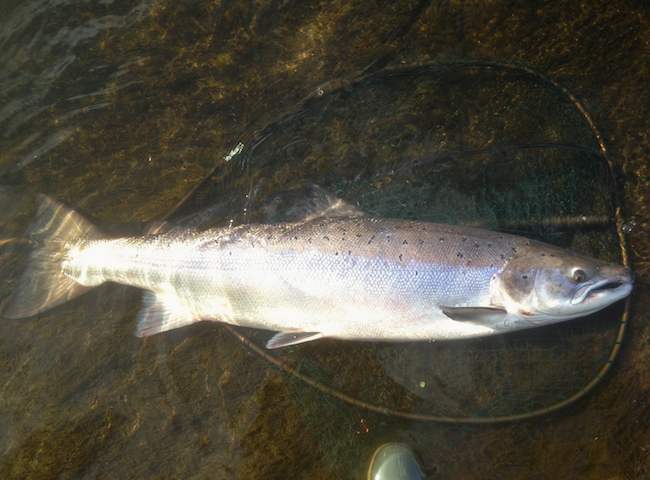 Look at this for an example of River Tay Spring salmon perfection. Catching a pristine fish like this with the excitement of the capture will stay in your memory banks for life. 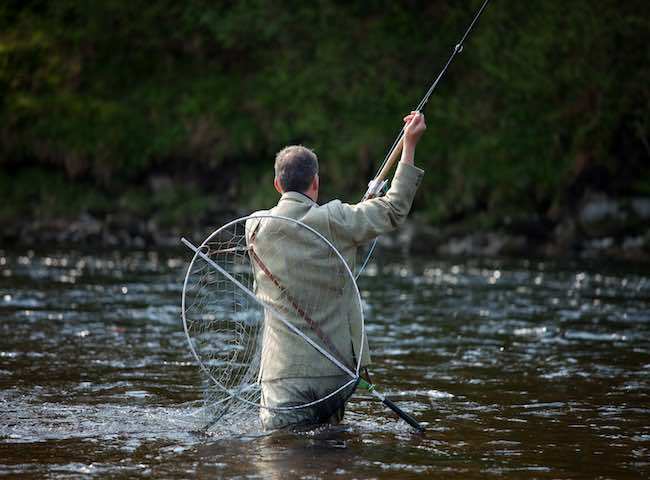 Treat your business associates to a quality assured day on Scotland's most renowned salmon fishing destination. Salmon fishing event date availability is open now for 2019. 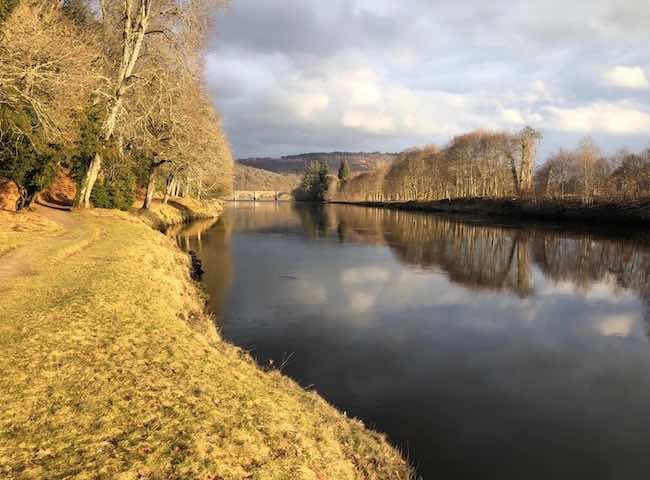 There's nothing that compares to the brilliance of being surrounded by the magical flowing waters of Scotland's most famous salmon river with a fly rod in your hand. 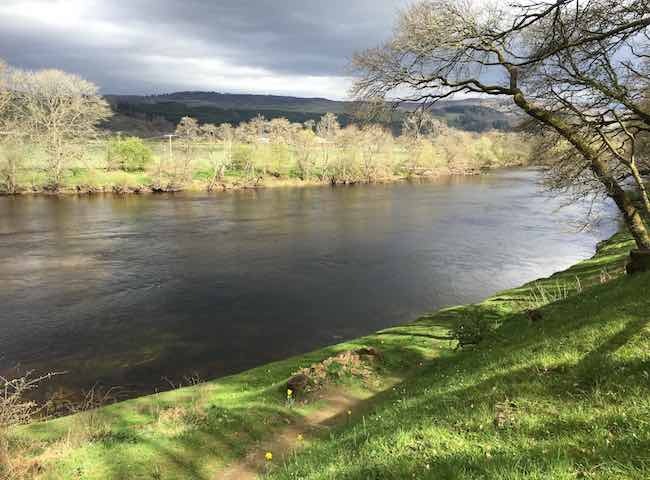 This area of the River Tay is widely regarded as one of the most scenic & productive salmon fishing areas on the middle river. 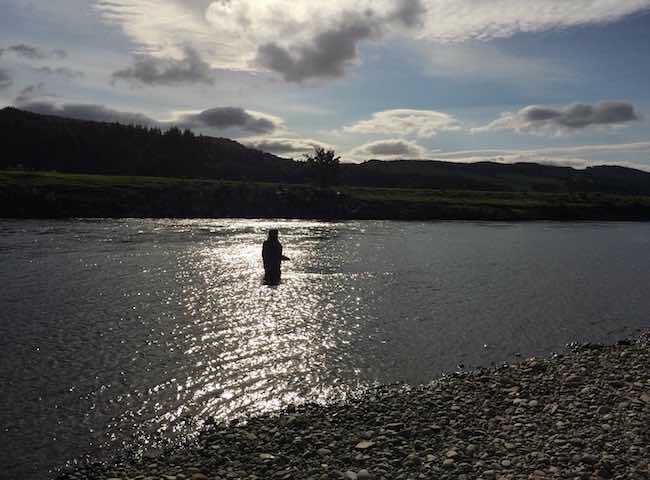 It is fortunate to benefit from many fine salmon beats & hotels to make a wonderful Scottish salmon fishing experience. 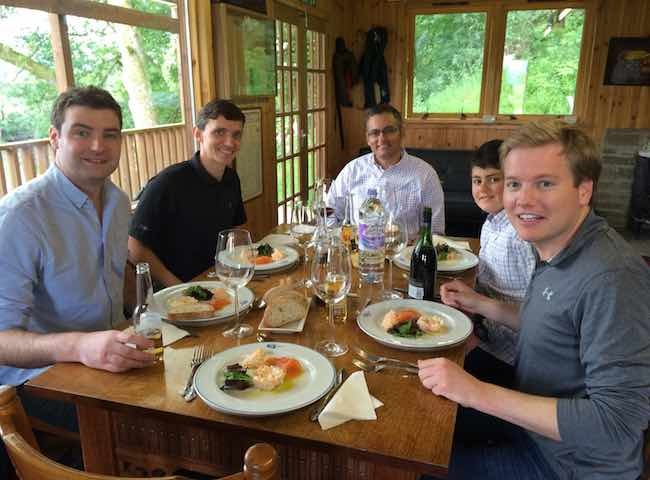 Here's a shot of the culinary greeting in a luxury River Tay fishing hut for the salmon fishing event guests. We are fortunate to have one of the very best 'Michelin starred' chefs in Jeremy Wares. 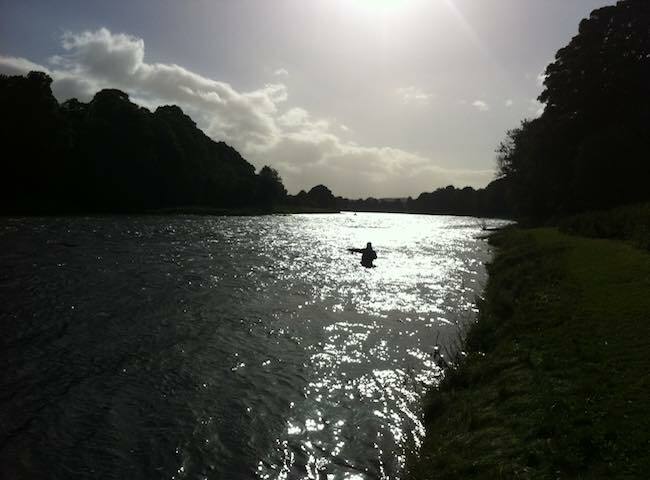 Here's another fine example of River Tay salmon fishing success. This is a perfect fly caught Summer salmon that's guaranteed to get your heart racing whenever they're encountered.